An iconic Clifton landmark has secured a grant which will make future funding for maintaining and improving the fabric of the building much more likely. The Grade II* listed Royal West of England Academy of Art (RWA) in Queens Road – Bristol’s first Art Gallery – has been awarded £9,900 from the Heritage Lottery Fund (HLF), through its Resilient Heritage grant programme. The funding will pay for a team of specialists to draw up plans for restoring and improving the two main roof lanterns, which date back to 1858 and which make the main galleries such a unique venue for exhibition and functions. The project will also investigate and recommend options for thermal insulation of the replacement lanterns, making it easier to control the climate in the adjacent side galleries, which is vital for the RWA to be able to bring major works of art to Bristol. Visitors to the exhibitions and people attending events and courses at the venue will also enjoy cooler temperatures in height of summer and warmer ones in winter as a result of better thermal insulation. The work is being co-ordinated by Nick Childs of Childs & Sulzmann Architects, working with a team of specialists, to deliver the report. ‘The Victorians did a wonderful job of creating a beautifully proportioned, light and airy exhibition space, but the sensitive nature of many world class works of art requires a level of temperature and humidity control that is not possible within these spaces. Our task is to find a solution that improves these facilities to enable a more controlled environment whilst respecting the context of a sensitive listed building,’ states, Nick. The grant will also explore options for other works in the building, including a more accessible lift; a new lighting scheme to replace the antiquated and energy-hungry lighting in the galleries, and a more efficient and effective heating system. "The outstanding nature of our building is recognised in its Grade II* listing, placing it in the top 6% of the most important buildings in the country. This grant is enabling us to work with leading specialists to identify the best ways of ensuring its future, and we hope will give us a much greater chance of securing funding to bring the plans to fruition." The RWA, a registered charity, will use the resulting research as evidence to back up potential bids to funding bodies including Arts Council England and Heritage Lottery Fund (HLF), as well as other Trusts and Foundations, to secure the funding for the building work, which if successful, is likely to be carried out in over the next two years. 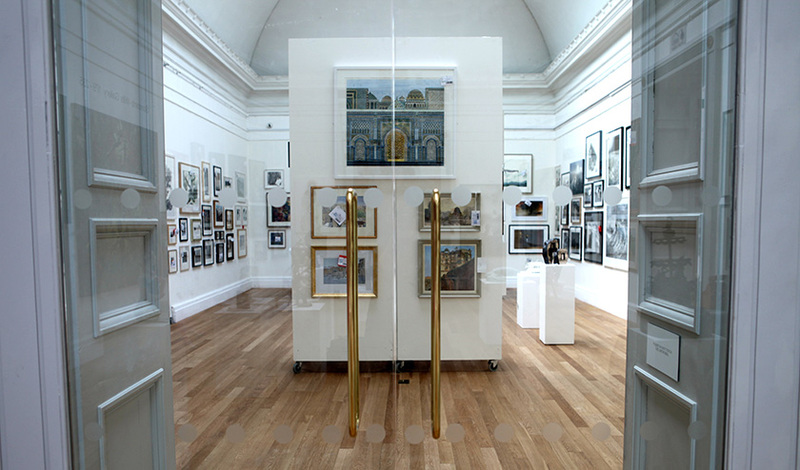 The RWA building, Bristol’s first art gallery, was opened in 1858, following a legacy from widow, Ellen Sharples and with donations from Brunel and Prince Albert. In 1913, a major extension was added to the front of the building, including a dome and spectacular lunettes, painted by Walter Crane. It was at this time that King George V also granted the Academy its Royal status.